Mondo’s magnificent unrefined shea butter is handmade in the Kongo village of northern Ghana, out of shea nuts picked from the trees of the wild savannah areas surrounding the village. 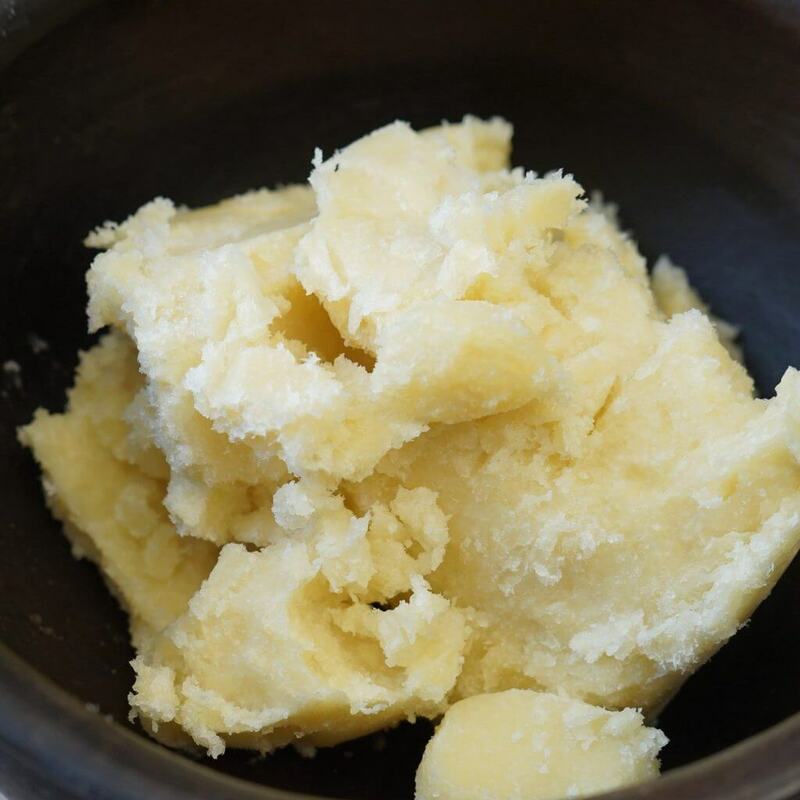 Unrefined shea butter is exceptionally suitable for those who prepare their own cosmetics at home – shea butter is a perfect vitamin-rich plant-based fat to use in body scrubs, lotions, or lip butters. It is suitable for use on body and lips, and is the best natural moisturizer for dry skin both during hot summers and cold winters. The product comes in a reusable paper bag. Ingredients: 100% natural unrefined shea butter. Keep shea butter away from direct sunlight, in a dry and cool place. Avoid repeated melting and cooling. Shea butter does not contain preservatives – it will have a longer life span when you use it with clean hands or a spatula. 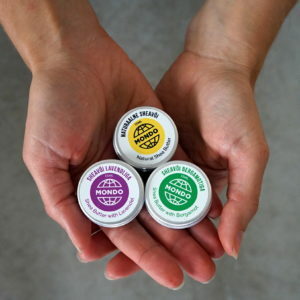 Mondo’s shea butter is made by Kongo Community Development Widows Association in the Kongo village of northern Ghana. Shea butter is often called African women’s gold, and it has been used for cooking and caring for babies’ skin for thousands of years. 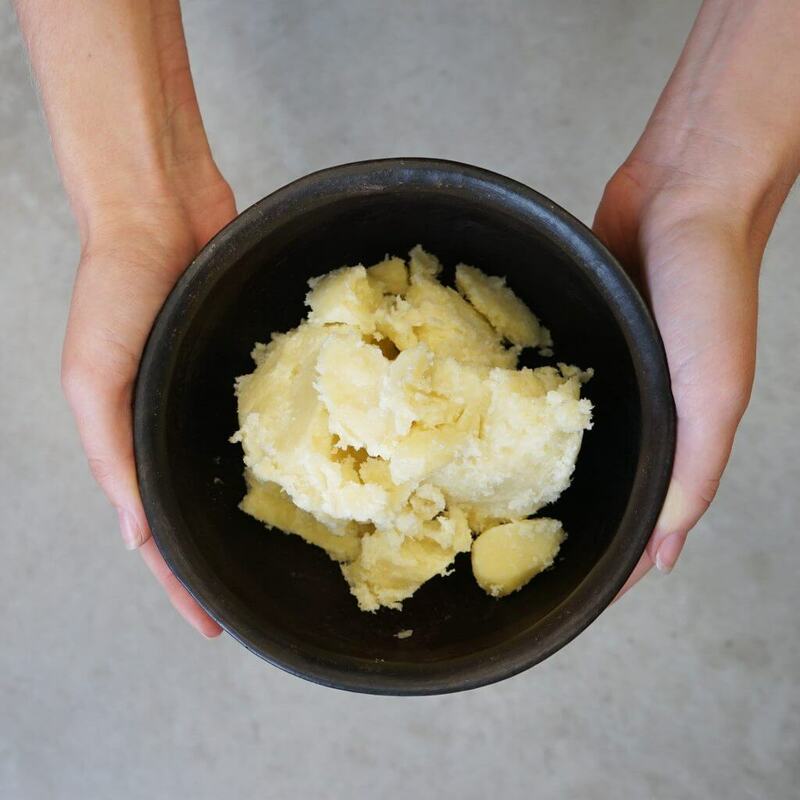 In the Kongo village, every woman can prepare shea butter, but with the help of Mondo and the Estonian development assistance funds, the village now has a shea butter production center, which allows to produce and package larger amounts for export. Making shea butter offers local women working in the association an opportunity to earn an important additional income, which they invest in educating their children and ensuring a better food selection for their families.